Whew! I can finally post about this! I’m really superstitious about blogging about features in magazines and blogs until they actually happen so while I’ve known this was going to happen for quite a few months I had to wait until the copy was in my hands before jumping up and down with joy and talking about it online! 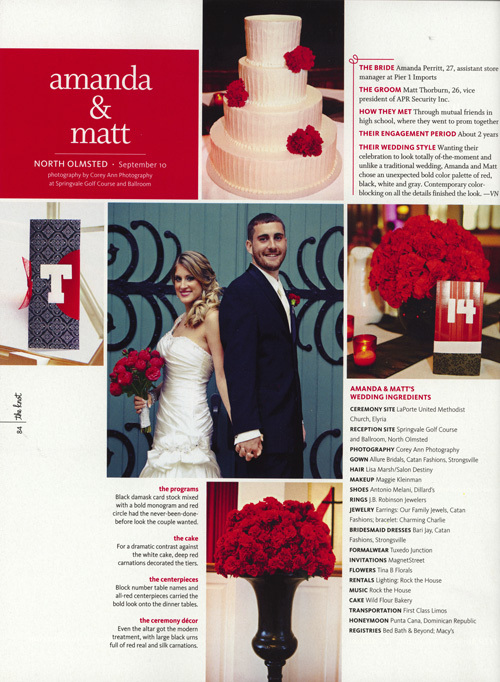 Amanda and Matt are featured as a Real Wedding in this season’s The Knot Ohio and I am tickled pink about it Their dramatic red + black wedding was definitely eye catching and gorgeous so I’m not surprised in the least that The Knot wanted to feature it. Make sure to go and check out their blog for more goodness from their gorgeous wedding! 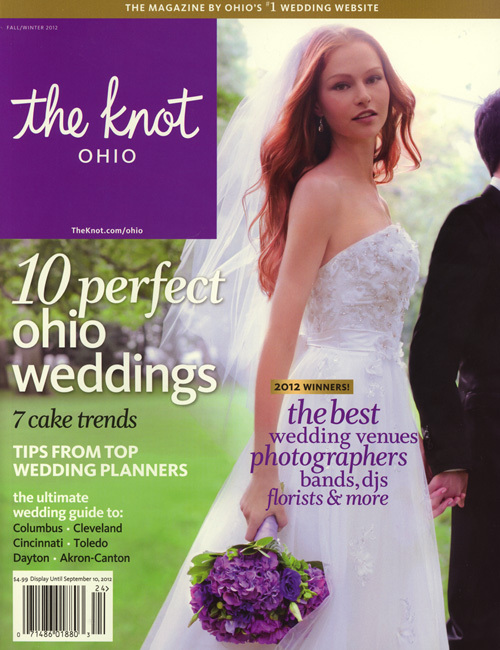 So exciting to see my beautiful kids in a magazine! When will the fall issue be out? I need several copies! Congrats! It was a beautiful wedding for a beautiful couple. I also want a copy!